New Leg Up or Blow Off Top? I keep coming back to this chart. I want to ask you your answer to your caption question. Blow off top or new up leg rally? ???? I believe we’re at a short term top. The fed is trying to force everyone into stocks. They are basically saying, you want any kind of return on your money you have to go in the market. Once everyone is in there will be no buyers left only at that point will we correct hard. Overbought just gets more overbought now. And them when start to correct the fed will step in with another qe. It is impossible to be short. The game is fixed. I just feel bad for retirees there is no money in safety the fed won’t allow it. Inflation will run hard again further killing safety. At some point the house of cards will come down. If you have a longer term horizon like me I would buy and hold short Spx etf and dollar cost average into it. 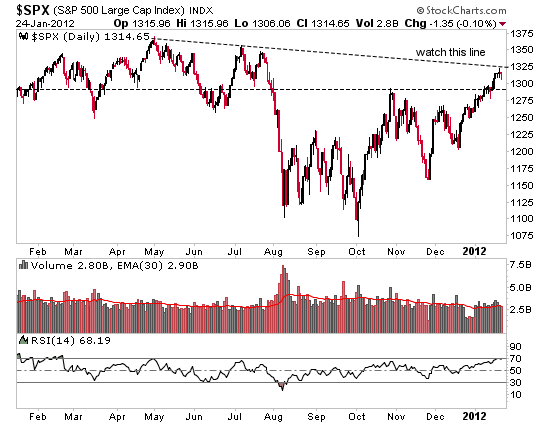 Maybe do some short leaps on the indexes could be one way to play it. target of 13000 almost achieved. should sell around this range and wait for pullback.